Which ‘two or three players’ should Hearts be looking to sign? Hearts boss Craig Levein has said he’s in the market for “two or three players” before the end of the transfer window. With this in mind, we look at the current squad and decide which positions need improved on the most. Hearts are certainly going to bring in a striker and Osman Sow is the odds-on favourite to be that man. Levein is also hoping to secure a summer deal for David Vanecek if he can negotiate an early release for the Czech attacker, who has agreed to a pre-contract, from his club Teplice. Having five strikers on the books may seem like overkill, but it’s not for a couple of reasons. Firstly, Levein has experimented with three forwards in the same starting XI to begin the campaign. And secondly, the Hearts manager appears to view Steven Naismith primarily as an attacking midfielder rather than a out-and-out striker. 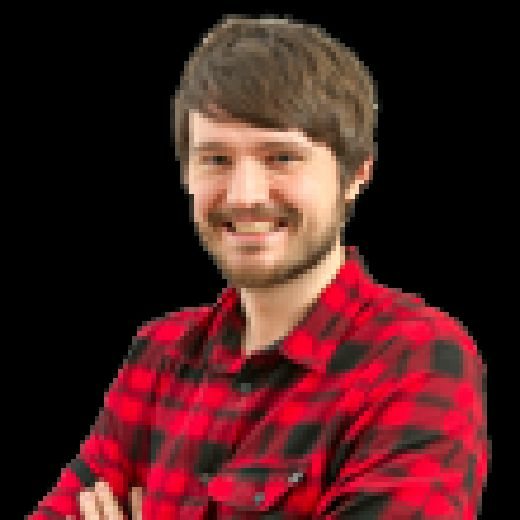 Despite the arrival of Jimmy Dunne as a replacement for the injured Christophe Berra, it still makes sense for Hearts to go out and recruit another centre-back. Aaron Hughes’ form hasn’t been great to start the campaign, and he’s already picked up another injury, while the emergence of Peter Haring as a midfield supremo leaves the Gorgie Road side short on options in the centre of defence. Haring could drop back into the position he was signed to fill, but if his early season form is any indication, it would be to the detriment of the team as a whole. Hearts have three players around the first-team who can play the position: Jake Mulraney, Danny Amankwaa and youngster Callumn Morrison. The latter is a terrific prospect and should get his opportunities this season, but it’s too early to rely on him as the starting right-midfield. Mulraney has his uses as a squad player, but again if he’s starting the full season on the wing then you’re getting a lower level of production from the rest of the starting XI. Then there’s Amankwaa who, for all intents and purposes, is barely even a Hearts player any more. Due to having many options (with Anthony McDonald also capable of filling in) Levein may be hesitant to improve on this position. But if he’s looking to strengthen on what’s already there, this is an area he should be looking at. One formation Hearts have used to good effect so far this season has been the 4-4-2/3-5-2 hybrid. Steven Naismith tucks in from the left of midfield, allowing Ben Garuccio to roam the flank from left-back, while Michael Smith or Aaron Hughes stays back a little more on the opposite flank. The early signs for Garuccio are very positive, but it’s a very demanding position to play over the course of a campaign. Look at Tottenham Hotspur and their use of wing-backs in recent seasons. They always have two top class players for each flank and rotate them regularly to keep them fresh. Bobby Burns appears to be the current back-up, though he does lack pace for a wing-back, and Hearts see him as more of a battling central midfielder. The return of Demetri Mitchell on loan from Manchester United would be a welcome addition and Levein has made no secret of his desire to bring the player back for a second spell. Hearts could field an entire starting XI of central midfielders, so it may seem odd to lobby them to sign another. However, Naismith may be the only No.10 at the club worthy of a regular start. 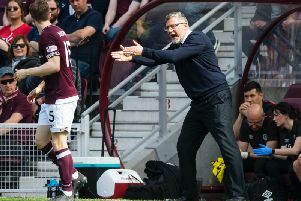 Levein said during the summer that he viewed Ryan Edwards as an attacking midfielder following a season with Partick Thistle where the Australian mainly sat at the base of midfield. However, the summer addition has barely been seen since his move across the M8 and it would seem his new manager may already be regretting his transfer. The same goes for Ross Callachan and Malauray Martin. Arnaud Djoum has played in the hole behind the strikers before, though Levein seemed to prefer him as a deep-lying playmaker last season. Then there’s Olly Lee and Harry Cochrane, a pair of very good midfielders with strong attacking instincts, but they’re more suited to the No.8 role.